CAIRO The leader of al Qaeda has called on Muslims to kidnap Westerners to exchange for imprisoned jihadists. 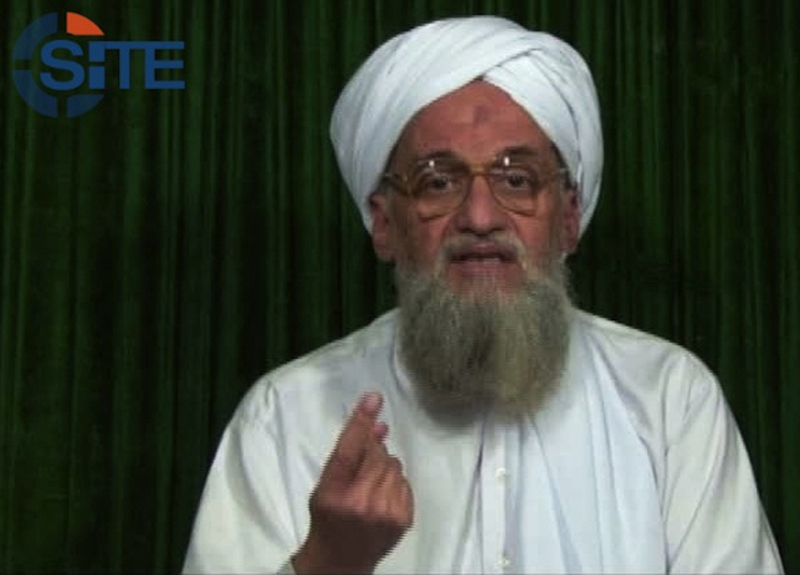 Ayman Al-Zawahri also urged support for Syria's uprising and called for the implementation of Islamic Shariah law in Egypt. In an undated two-hour videotape posted this week on militant forums, the Egyptian-born jihadist said that abducting nationals of "countries waging wars on Muslims" is the only way to free "our captives, and Sheik Omar Abdel-Rahman," the Egyptian cleric serving a life sentence in U.S. prisons for his masterminding of 1993 bombings in New York City. Al-Zawahri also called upon ultraconservative clerics in Egypt to ensure clear mention of Shariah in the new constitution. The role of Shariah is hotly contested between liberals, ultraconservative Salafis, and the country's best organized political group, the Muslim Brotherhood.